Cloud solutions are becoming the go-to consideration when enterprises like yours begin to problem-solve. 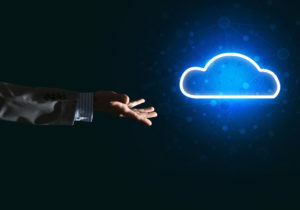 Whether it’s a productivity problem, a desire to cut costs or an opportunity to enhance customer experience, a cloud-based application can often fill a need. What’s powering those transformations is the implementation of software-defined wide area networking (SD-WAN). SD-WAN offers what network architects have wanted for years: the ability to separate the control plane from the data plane in a central virtual overlay. The option to customize an abstraction layer for each enterprise, and by extension, each user, is a game-changer because it delivers virtualization to networking. Without this technology, virtualization in the data center or cloud services isn’t truly possible. Your employees work at the edge of the cloud, and it’s expected that SD-WAN will continue to mature until it is evolved into user-defined wide area networking (UD-WAN). The purpose of SD-WAN is to integrate and connect the edges of the enterprise, whether that’s a branch location or a mobile user. The cloud is an abstract idea unless it has the tentacles of the wide area network (WAN) that connect it to users. The shift to SD-WAN equips the cloud for enterprises to leverage for digital transformation. If the vehicle to access the technology doesn’t match the cloud in its disruptive nature, the cloud can’t take off. To put this in proper perspective, imagine creating a brand-new, high-speed train and then trying to run it across the country on railroad tracks built more than a century ago. In order for the train to run in all its glory, it must have rails built for speed and performance. SD-WAN acts as the rails for the high-speed, high-performance cloud applications needed to meet your growth objectives. SD-WAN is what will make digital transformation on a bigger scale possible for enterprises. Otherwise, network congestion, complexity, and performance issues will all slow down cloud migration and leave your organization reluctant to implement the solutions that will help you edge out your competition. SD-WAN offers the ability to optimize bandwidth use by setting business policy to prioritize pathways for critical data transmissions. For instance, video conferencing and voice calls are automatically routed to a multi-protocol label switching (MPLS) while noncritical items are routed through the public internet. This segmentation also allows for better security and the opportunity to optimize performance. SD-WAN offers the zero-touch network provisioning, configuration, and troubleshooting that allows for efficient network management, making cloud services adoption more feasible for your organization. To talk more about the current state of SD-WAN technology and how it can equip your digital transformation, or if you’d like to discuss the eventual introduction of UD-WAN, contact us at Wanify.